Featuring an oily, triple-fermented Cuban-seed Maduro wrapper, the Perdomo Champaigne Noir possesses a medium to full-bodied smoke. 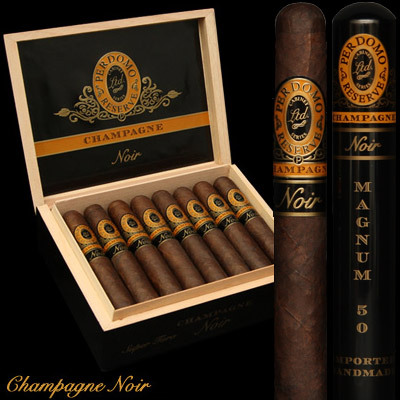 This can be attributed to the extensive aging process of the aforementioned wrappers in bourbon barrels, that each cigar undergoes during production. The smoke maintains a smooth and savory finish, complimented by flavors of coffee and chocolate, it is quite a delectable experience. With six (6) sizes, the only thing you should be contemplating is which size do you wish to purchase, not whether or not you should buy these gems.